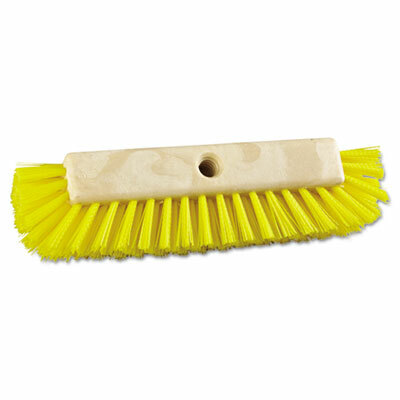 Dual-angle, full half-circle bristle orientation simplifies baseboard and tight corner scrubbing tasks. Crimped, extra-absorbent fibers provide excellent liquid-holding properties. Click here to see more Brushes! Bristle Material: Polypropylene Bristle Length: 2 1/2 "